Discover the power of accurate data. Only good data can lead to good decisions — not to mention that unreliable data is a waste of time, money, and server real estate. What if there was one tool that could automatically audit your data for accuracy, test and monitor customer journeys, and protect against data loss? If that sounds too good to be true, you’re ready to learn about ObservePoint. 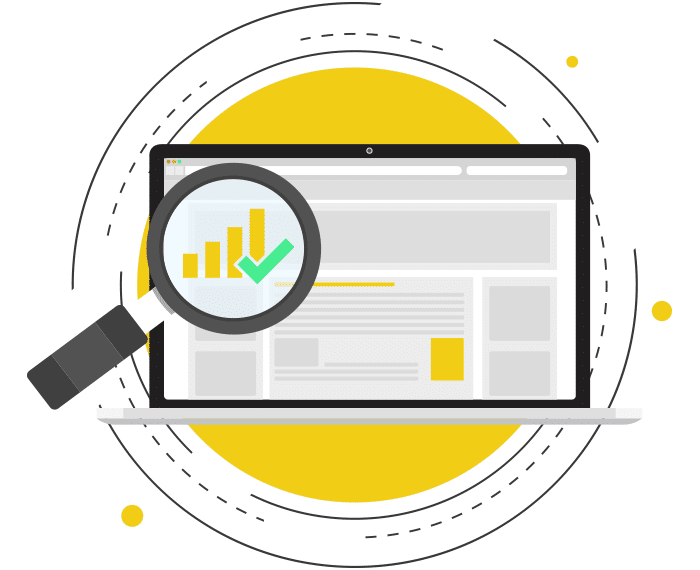 An industry-leading data auditing solution, ObservePoint is a premier data quality assurance platform for automatically verifying web tag performance and improving digital data quality. It has the ability to see all variables set on all pages, and then record those values to perform the analysis and identify issues with the implementation and data capture. ObservePoint can successfully crawl mobile applications, mobile sites, tablet sites, and desktop sites. Blast offers ObservePoint consulting services, bolstered by our official partnership and unshakable belief in the power of quality data. With numerous sources and implementations, the only way to be sure that the tags on your websites, apps and videos have been deployed correctly is through data quality assurance testing. Partnering with us for your analytics consulting will save your staff from spending up to 40% of their time vetting your analytics data before it can be used for strategic decision-making. We’ll deploy ObservePoint’s WebAssurance tool to automate the validation of your dynamic and unique tag implementations, making sure they’re accurate. The success of your online marketing depends on your customers enjoying their sales journey and other online interactions with your brand. These critical paths will be continuously tested and monitored, while our expert analysts suggest improvements. Your team’s productivity will continue to increase exponentially over time, as the automated auditing system consistently looks for data collection gaps and redundancies. ObservePoint’s integration with hundreds of marketing technology tools allows you to determine which solutions are proving their worth and which are wasting your resources. Strategy – Understand the current state of your organization’s analytics implementation; identify gaps and overlaps in tagging and tracking; develop solutions. Implementation – Deploy and configure ObservePoint tool; fix areas where tracking doesn’t follow vendors’ compliance rules and where inconsistencies exist. Setup critical user flow journeys to continuously audit for defects/issues. Optimization – Uncover areas of opportunity to improve tracking and visibility into what end users are doing; collect insights from customer behavior; increase usage with sound and accurate data. Training – Empower your team with the knowledge they need to continue getting the most value from ObservePoint automated auditing. Depending on what you learn in the audit process, you may also benefit from an analytics maturity assessment, or user experience testing. If you have questions or you’re ready to discuss how Observepoint’s automated Digital Data auditing solution can help you EVOLVE your organization, Request More Information or call toll-free 1(888) 252-7866.